FIFA World Cup – which is known as the world’s most watched and awed sporting event – is just a few weeks away. Fans of this sporting event have already flocked the websites and portals providing the tickets of their seats in Russia. 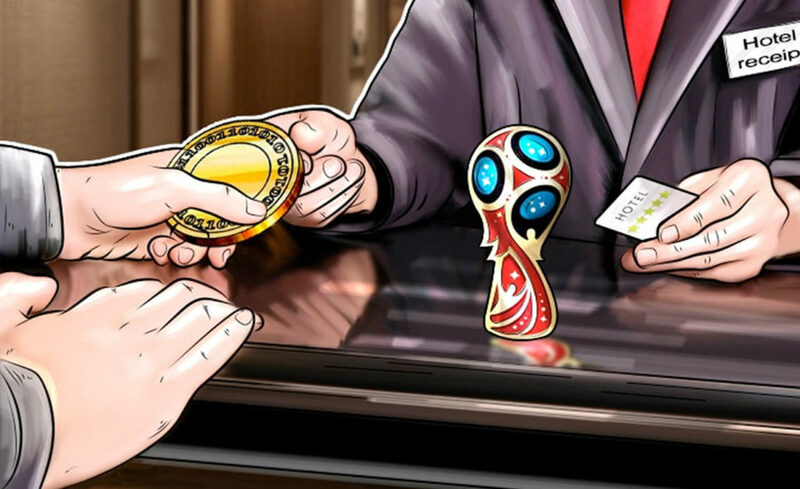 To the surprise of the many among such soccer enthusiasts – one of the hosting cities of FIFA World Cup – the Kaliningrad, is now going to offer the payments for the rent of hotel rooms via the bitcoins. The news portal Business Travel Russia has reported that the firm – Apartments Malina – has joined up with the payment gateway system known as Free-Kassa to – let its users pay for the hotel rooms via cryptocurrencies. Four matches are scheduled to be hosted in the city of Kaliningrad – which is going to be played on the 16th, 22nd, 25th, and 28th of June is this year. "Cryptocurrencies in today's world are enjoying an incremented interest. Sooner or later, they are bound to come into regular use as a method of payment. Therefore, it has been decided by the team that the football fans be allowed to be able to take up services provided by us with the aid of this new age digital crypto asset. And it is quite possible that other hotel groups in Russia might be looking for some ice-breaker to follow the example of accepting payments in cryptocurrencies." It has been scheduled that 11 cities in Russian Federation are going to host the FIFA World Cup which includes Kaliningrad, Saransk, Samara, Nizhny Novgorod, Sochi, Rostov-on-Don, Volgograd, Saint Petersburg, Kazan, Ekaterinburg, and the capital city Moscow. The other cities are yet to come up with some kind of announcements regarding the payment acceptance in cryptocurrencies – till date, which has caused the director of development of Free-Kassa to describe the phenomenon as a spellbinding experience. "We have not done any kind of cooperation with the hotels on record; however, the hospitality industry, in particular, is very far-seeing to such kind of trends." He said. However, the ongoing joint partnership of Free-Kassa with the commercial bank of Petersburg has proved that there is still a chance that the city of Saint Petersburg too shall start accepting the payments made in cryptocurrencies very soon. We had heard the news of the drafting of regulations for the cryptocurrencies and initial coin offerings by the government of Russia in the previous month. However, the different departments of government have made the reservations on the tightening regulatory mechanism which was proposed by the government of Russia. But, the finance ministry of Russia might not be agreeing to such reservations. Still, it could be said that the Central Bank of Russia might list the cryptocurrencies in the category of economic assets instead of illegal payment method altogether.